Black Friday is a popular day in November, specifically, the last Friday in November where retailers offer incredible discounts to get people to buy. It is the biggest shopping day of the year all over the world and it marks the beginning of the holiday season that starts on Black Friday and ends on Cyber Monday. According to research, 30 percent of annual retails sales occur between Black Friday and Christmas. Retail marketers started the Black Friday after World War II. It, however, gained more ground in the 1980s when it was known as a national big bargain day. Various online and brick and mortar stores have hosted different bargains on the said day. 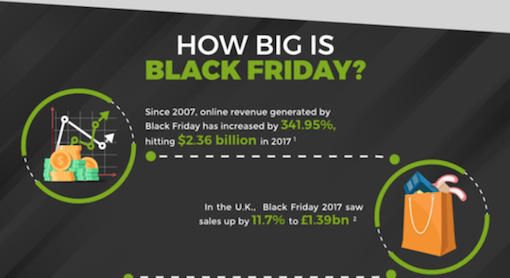 How big is the Black Friday? Black Friday is a big day for marketers online and offline. According to research, since 2007, Black Friday revenue generated has increased by 341.95%, hitting $2.36 billion in 2017. That is an enormous revenue year over the year. What if you could real estate business could benefit from the huge sum of money spent on Black Friday? 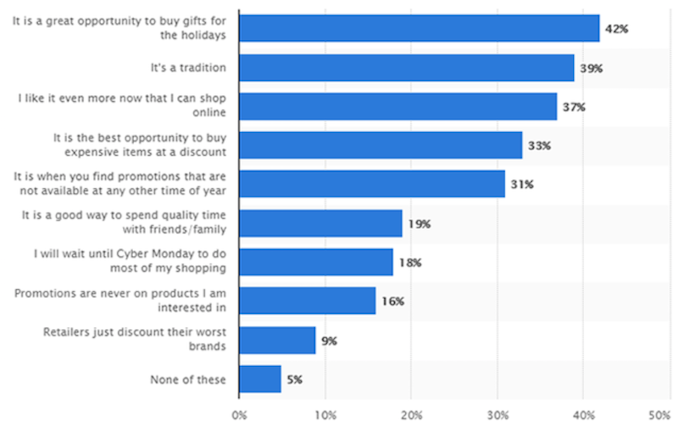 Below is a US consumers’ bar chart on the attitudes of people towards the Black Friday by Statista. In the graph above, you can clearly see that people have a positive attitude towards Black Friday. 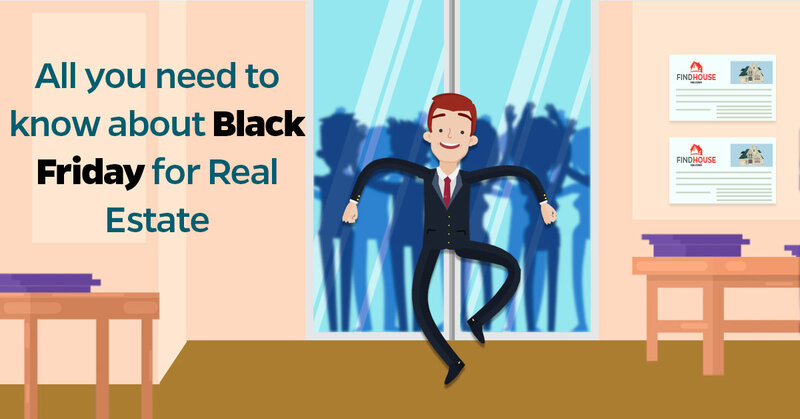 Sure, you are wondering what Black Friday has to do with the real estate business. Black Friday for real estate businesses is the perfect opportunity to sell to buyers. Although buying or selling a home may not be the top priority on traditional holiday shopping schedule, you could still find people who will look for deals at this time of the year. People use Black Friday as an opportunity to search for houses to buy. Most people do not like to miss out on Black Friday for real estate deals. They want to get the best deals they can get. Black Friday for real estate is becoming a well-established tradition for people looking to sell and buy houses. What are the benefits of taking part in Black Friday as a Real estate business? i Black Friday for real estate will help you get qualified clients who are really interested in buying or selling houses. ii.Black Friday for real estate sets people in the buying mood, so you don’t have to do much marketing to generate sales. iii.Selling houses is easier during the Black Friday as a real estate agent because people are already looking forward to deals and they know most deals are genuine during this period. iv.Black Friday for real estate business is a great opportunity to create brand awareness for your real estate business and also to build credibility. Now you know what Black Friday for real estate is, how do you maximize the Black Friday for your real estate business? The first thing people who are looking to buy houses on Black Friday for real estate search for is the discounted price. Offering substantial discounts on homes, condos, rentals and commercial properties will entice prospective clients to buy. You can even go as low as 5% under market value to entice them to buy. The discount will give your prospective clients the nudge they need to sign the dotted lines on Black Friday for real estate. Besides offering a discount on the prices of properties, you can also offer discounts on your agent’s commission to encourage more sales on Black Friday for real estate. This will enable your prospective clients to use the discounts as part of the money to buy other things, such as furniture for the home. The second way you can get more out of the Black Friday as a real estate business is to “display exquisite pictures of the property you are selling”. The second way you can get more sales from Black Friday as a real estate business is to show exquisite pictures of the property to prospective buyers. One key to turn house hunter into buyers is the home pictures. Although you can use several tools to take the photos of the home by yourself, it is better to use the services of a professional photographer. The photographer will help you take great pictures in readiness for the Black Friday for real estate sales. Home with good pictures will sell faster and for more money on Black Friday for real estate that the ones without. Ensure your photos are arranged in a way that takes buyers on a tour of the home, from the entrance of the house to the back door. The third way you can get more out of Black Friday for real estate sales is to “tell the stories of the properties” for sale. The third way you can get more sales on the Black Friday as a real estate business is to tell the story of the home you want to sell. This includes stories that show how unique the property is, the landscaping, stunning hardwood floors and other features of the house that will entice buyers to want to get it and present it to them. You will be surprised at how prospects will fall in love with your properties and will want to buy it. The fourth and the last way you can get more sales on Black Friday as a real estate business is to “Offer insane incentives”. The fourth and the last but not the least ways you can get more sales during the Black Friday as a real estate business is to offer incentives. Apart from price discounts and the reduction in the agent’s commissions, you can also add creative items to the deal. You can offer incentives such as TV screens, stoves, dryers, washers, and furniture to further entice prospective buyers to make purchases during the Black Friday as a real estate business. Prospective buyers will love the thought of buying a home with almost everything they need and that fits the place well. However, ensure that the items you are offering are in line with the lender guidelines. As seen above, Black Friday is one of the biggest shopping days in the whole year. It is not only available for consumable goods, but there is also Black Friday for real estate business. However, to get more sales from the Black Friday for your real estate business, make sure you offer discounts on the prices of your properties to entice prospects. Display enticing pictures of the properties, tell the stories of the properties and offer insane incentives. Implement these strategies and you will see a spike in your sales during the Black Friday as a real estate business.